JEE Mains 2018 results are about to rolled out and students are already worried about the cut-off. JEE Mains Cut-off was released by many institutes in Delhi for their students. We have correlated the facts and came to the expected cut-off which is most likely to be true according to the experts. Note: Students are advised to first match up their answers from JEE Mains Official answer key before heading for expected cut-off marks in the examinations. There are 5 lists prepared by the organizing committee for each of the categories in Joint Entrance Examinations. Each list has different percentage passing marks on basis of reservation category enjoyed by the student in particular. When we talk about the last year (2017), the JEE main cut-off list has touched the mark of 81 for General Candidates, while the cut-offs for the OBC, SC and ST categories was at 49, 32 and 27 respectively. On a surprise, PwD candidates having a single mark in the paper qualified. 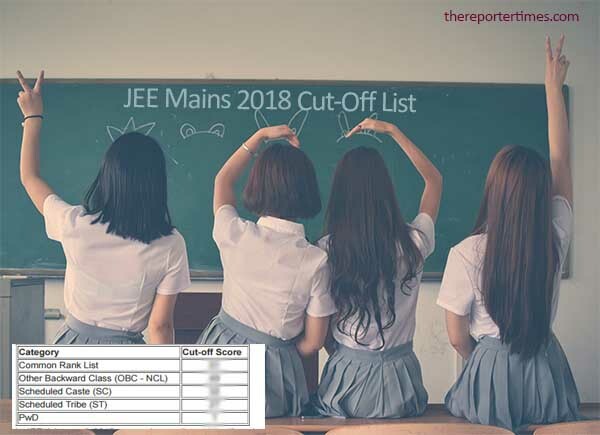 There are various comments by different experts on expected cut-off for JEE Mains 2018. We’ve concluded the best from available resources information. The cut-off for PwD students is expected to remains at 1 mark. Which means such candidates will only need to clear the interview after getting selected. The actual Cut-off list will be updated in the article after results release. The cut-off is decided on a number of factors including the total number of students applied for and the average turn out rate in the examinations. Along with the quantitative factors, it also largely varies on the total number of questions from previous year examinations.